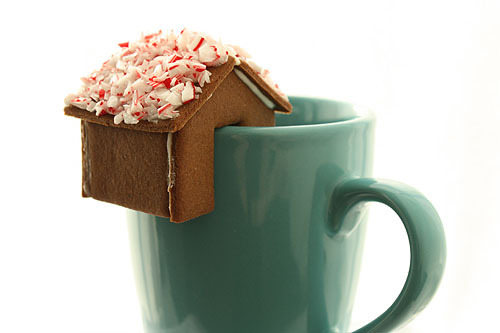 Inspired by those sugar cubes that sit on the rim of your mug, Meghan of normartha.org came up with this beautiful idea for creating miniature gingerbread houses that sit perched on the rim of your mug. 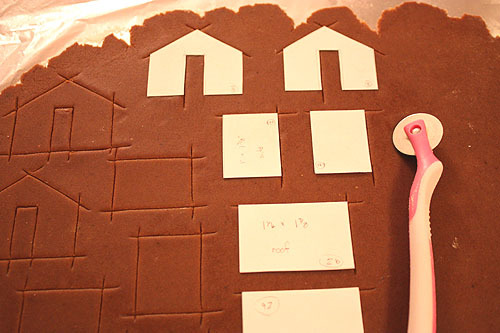 These might look complicated but if you look at the great step-by-step photos/instructions on her blog, you’ll see how simple they are to make! 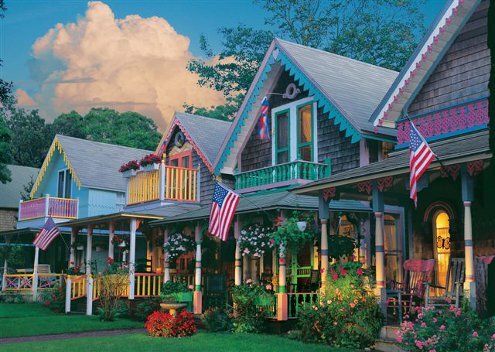 On the small island of Martha’s Vineyard (off the southern coast of Massachusetts) you can find what is perhaps the world’s cutest neighborhood. 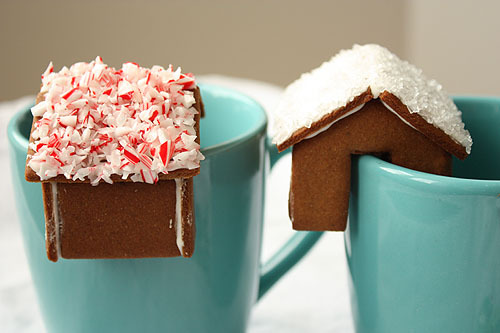 The neighborhood is called Oak Bluffs and there is a whole cluster of houses called the “gingerbread houses.” They were built in the 1800’s and luckily the current owners keep them lovingly colorful, ornate, and kept up.